The party capital of Florida, Miami is world-renowned for its diverse all-night clubbing scene. Heart is the city’s newest large-scale nightclub, which has achieved phenomenal success and garnered critical acclaim since it opened just over a year ago. Attracting international DJs on a regular basis, the venue features a lighting rig comprised of ADJ and Elation Professional fixtures which has recently been enhanced by the installation of an LED video screen made up of ADJ AV6X panels. 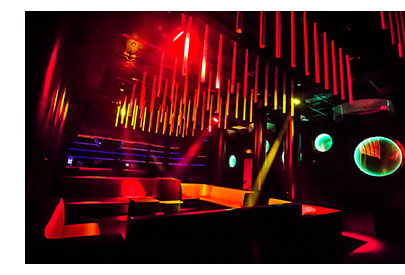 Located in downtown Miami Heart Nightclub is a three-level club spread across 20,000 square feet of space. Designed to combine a high-tech nightclub, with awe-inspiring visual accompaniments and accents worthy of stage productions, Miami Heart Nightclub has quickly become a staple of Miami’s late-night scene. Each floor offers spaces for dancing, drinking and VIP lounging, including the climate-controlled outdoor rooftop patio. Specializing in all-night parties, the club regularly opens from 11pm in the evening right through to 11am the next morning. Having already hosted internationally-known DJs including John Digweed, Dubfire, Robbie Rivera, Nic Fanciulli, Solomun and Victor Calderone, Miami Heart Nightclub was bestowed the coveted ‘Best Dance Club’ title in the Miami New Times Best of Miami Awards last year. With a music policy that focuses on more eclectic genres of dance music, such as minimal and techno, instead of competing with the generic EDM played at most of the clubs across the bridge in South Beach, Heart has developed an enviable reputation and dedicated crowd. It aims to cater to enthusiasts who value good music over velvet-rope exclusivity. Initially focusing on Friday night parties – where neighboring club Space traditionally dominated Saturdays – Heart’s calendar has now successfully expanded to also include Saturdays, offering clubbers a musical alternative on that night of the week. 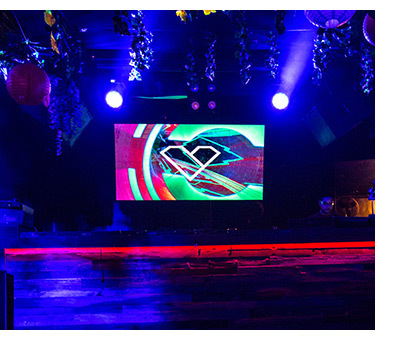 Housed in the building of the former Nocturnal club, when Heart was first outfitted Alex Posada of Miami-based United Audio, Inc was brought in to design, specify and install the audio and lighting system. 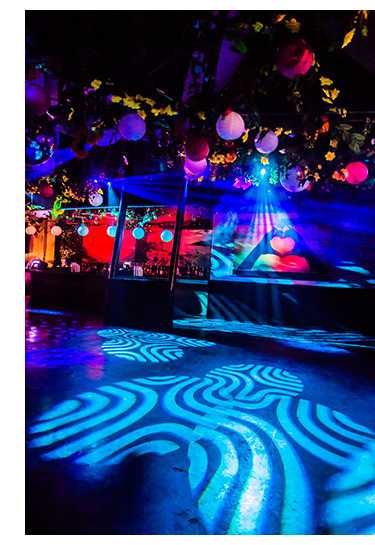 Having previously worked with Heart’s owner on other projects, Alex was trusted to create a setup that would provide the perfect sonic reinforcement and visual stimulation for Heart’s all-night parties. To achieve this, Alex opted for Dynacord alpha and Cobra-4 sound systems, alongside lighting rigs made up of various ADJ and Elation Professional fixtures. The club’s main dance space, which plays host to most of its guest DJ performances, is the patio located on the top floor. This has an outdoor feel, while still benefiting from a roof canopy and heating/cooling, which makes it ideal for Miami’s tropical climate. 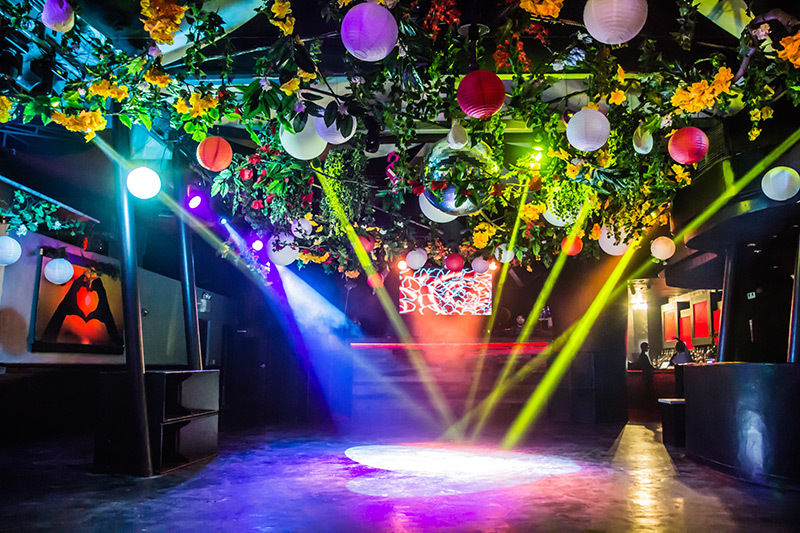 The roof space above the patio is filled with hanging foliage, with makes for an intimate atmosphere on the dancefloor, while its impressive lighting rig of ADJ moving head fixtures is ideal for complementing the club’s underground dance music policy. 8 of ADJ’s powerful Vizi Beam RXONE units are used to shoot sharp beams of fast-moving light onto the dancefloor, while 12 Inno Color Beam Z19s fill the space with washes of vibrant color. The lightshow is completed by GOBO projections from 6 ADJ Inno Spot Pros and laser-like beam effects from 4 Elation Professional Sniper 2R fixtures. At the center of the rig is one of ADJ’s huge M4040 40” mirror balls, which hangs down through the plants and flowers to provide a focal point for the moving head’s beams. The result of this combination of fixtures is a versatile rig capable of keeping the party atmosphere going from late at night right through to the following morning. The patio space was recently rearranged in order to move the booth to a new location that allows better connection between guest DJs and the crowd on the dancefloor. At the same time the club’s owner decided to invest in an LED video screen to enhance the venue’s aesthetics even further with visual content. Having recently seen the AV6X at an Open House event hosted at ADJ’s Miami facility, Alex knew that the newly updated version of ADJ’s popular 6mm LED video panel was ideal for Heart. The AV6X panel installation was carried out just before the international art festival Art Basel took place in Miami at the end of last year. Over the Art Basel weekend Heart opened for a record-breaking 40 straight hours, starting with a guest DJ set from Erick Morillo on the Saturday night and continuing right through to the following Monday evening. Although the rooftop patio is home to the club’s main dance space, each of its three floors has a DJ booth, dancefloor and lighting rig to match. The focal point on the second floor – which serves as the venue’s alternative musical space and usually features a DJ playing Hip Hop or EDM – is an array of 50 ADJ Pixel Tube 360s. Hanging in five rows spread across the length of the room, the Pixel Tubes each feature 64 bright pixel-mappable tri-color LEDs which are visible from 360-degrees around the tube. Controlled using the MADRIX software, the large quantity of tubes give real wow-factor to the room’s lighting. This is augmented by six of ADJ’s Inno Beam LEDs and 3 Inno Color Beam Z19s which add moving beam and wash effects to the Pixel Tube 360’s static pixel animations. On the ground floor, which has an underground feel with exposed brick walls and low-ceiling beams, Alex opted for 8 of ADJ’s Inno Pocket Spot moving heads as the backbone of the lighting system. These incredibly compact fixtures, which offer independent GOBO and color wheels, are deceptively bright. Having chosen to fix the units directly to the exposed ceiling I-beams, in pairs running the length of the space, Alex aptly summed them up by saying, “Those things are little, but powerful… and fast!” To complete the first-floor setup, Alex also installed two of ADJ’s potent Inno Color Beam Z19 LED-powered moving head wash fixtures with motorized zoom. The overall effect is minimal, but effective, fitting the space perfectly. 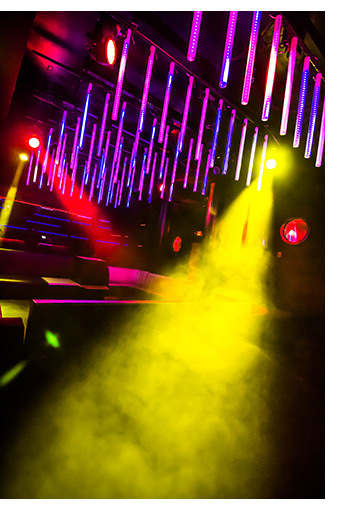 The combination of Heart’s underground music policy and unpretentious atmosphere with Alex’s impressive audio, video, and lighting system has ensured the club’s place at the center of Miami’s nightlife scene. Having enjoyed huge success throughout last year, the future looks bright for this forward-thinking venue. A lot of big DJ bookings have already been confirmed for 2017 and the owner is committed to keeping the club fresh by making constant additions and changes to the décor and AV system. And, here at ADJ, we are proud that it is our lighting fixtures and LED panels are at the heart of the club’s lighting rig! ADJ Dealer / Lighting Designer: Alex Posada, United Audio, Inc.